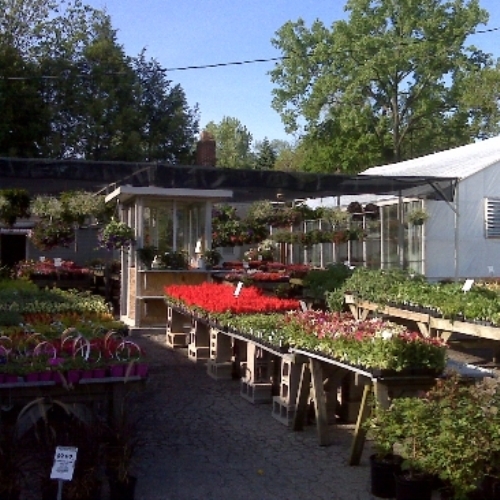 Armbruster Florist was founded in 1945 by the late David E. Armbruster. Today, the business is being operated by the 3rd and 4th generations of the Armbruster Family. Over the years, new modern facilities have been built on the same location. We have approximately one acre of Greenhouses where we grow seasonal potted plants. Our entire staff from our fast, friendly delivery team, to our skilled master designers is dedicated to the safety, beauty and prompt delivery of your order. Not only do the family members manage and oversee the daily operation of the business, we work in all facets of the business, with the employees as well to insure that special quality and service. Daily delivery to local funeral homes and hospitals. A large selection of foliage plants, planters, seasonal blooming plants grown and maintained in our greenhouse. An extensive selection of fresh flowers and roses, silk and dried arrangements, balloons, plush and sympathy arrangements, fruit and gourmet and snack baskets for any occasion. We offer 100% guaranteed satisfaction on everything we do. With over 72 years of service, we have become a family tradition of being Middletown’s most requested florist. Our staff of master designers can fulfill your request of high style, contemporary, or traditional design. If you have any questions or need more information, please contact us by e-mail at bymyflwrs@fuse.net or call us directly at (866) 680-7673. We're always here to serve you and make your flower-sending experience a pleasure. A local delivery fee of $9.00 will be added to each order, for each address. (For deliveries outside our local delivery area, this fee may vary.) U.S. orders must be received before 2:00 p.m. in the recipient's time zone to help assure same-day delivery. Orders received after that time will be delivered the following day. We will do our best to accommodate deliveries at a specific time of day, but we cannot guarantee it. We are unable to make deliveries on Sundays. Orders requesting delivery on this day will be delivered the following business day. Deliveries of orders to rural route addresses or cemeteries cannot be guaranteed. We will be happy to accept your international orders if you call our shop directly. We are unable to accept international orders over the internet.